I just spent a good weekend cruising around Sooke on the southern tip of Vancouver Island. There is a natural beauty here that shines through its people and the uniqueness of homes in and around town. 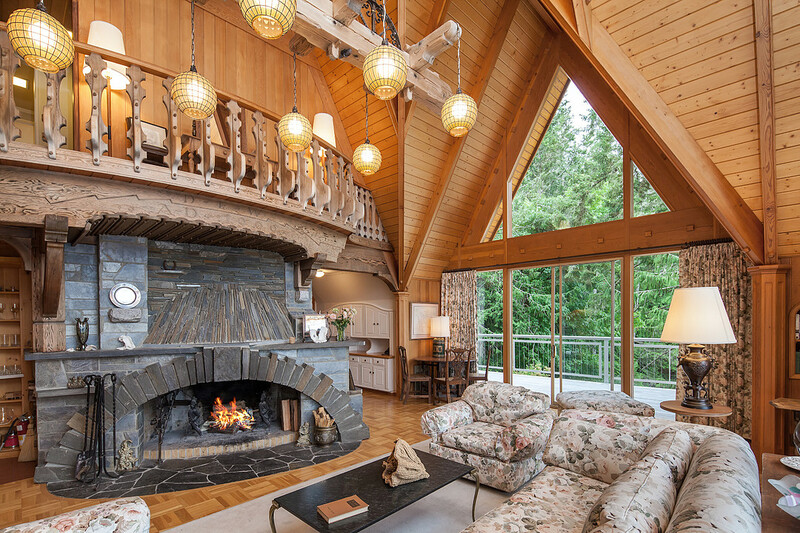 This oceanfront gem is hidden away near East Sooke and contains one of the coolest fireplaces we’ve ever seen. This one of a kind home was built in 1969 and we love the look and feel of this place inside and out. It fits in brilliantly with the wooded surrounding and is so close to some of the best bits of rainforest in the province. This home is currently on the market for $6,900,000 CDN with Glynis MacLeod over at Sotheby’s International. You can reach her cellphone via 250.661.7232 or give her an email gmacleod@sothebysrealty.ca.